As a cultured woman, I love to eat my homeland food even when I’m abroad…but the thing is my palette doesn’t necessarily want the same old boring taste. So my husband, Jeff, and I love to do what we call ‘make-up cooking’, using food we grow to create new and exciting dishes. This way I can eat healthy while enjoying delicious, mouth-watering food…that touches my heart and soul. 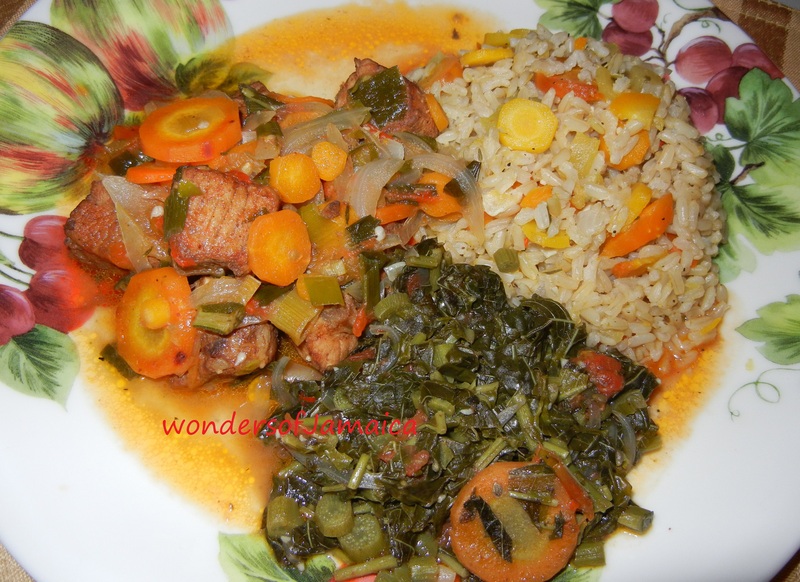 A well prepared dish, with fresh fruits and vegetables that says, “yes! I’m home”. 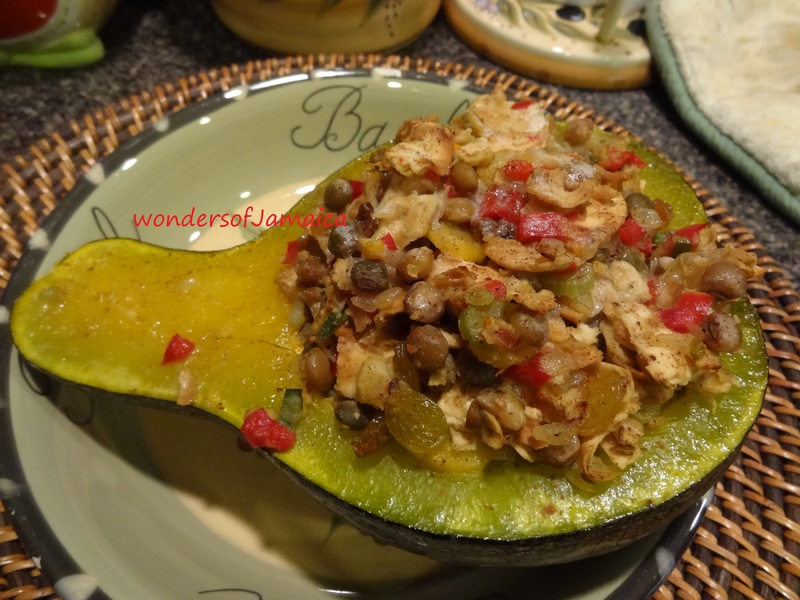 Now not to waste anything and have a healthy appetizer, here is a great way to use the seeds from the pumpkin. 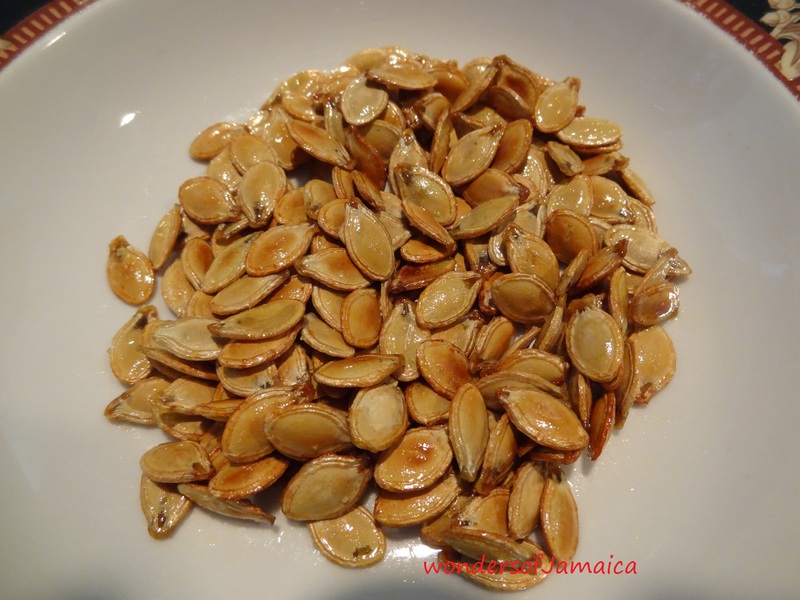 Pumpkin seeds are packed with minerals, vitamins, and anti-oxidants. We chowed down on these while cooking our dinner…delicious. So instead of dieting try living a little by starting to eat fresh from the garden, healthy home cooked meals. All our meals always consist of fruits and lots of veggies. And the callaloo, carrots, onions, pumpkin, and gungo peas are home-grown. We also use olive oil and less or no salt and sugar. Salt is usually in most seasonings. I do hope you enjoyed your visit in our kitchen where home cooked meals are savored. Nyam, nyam. 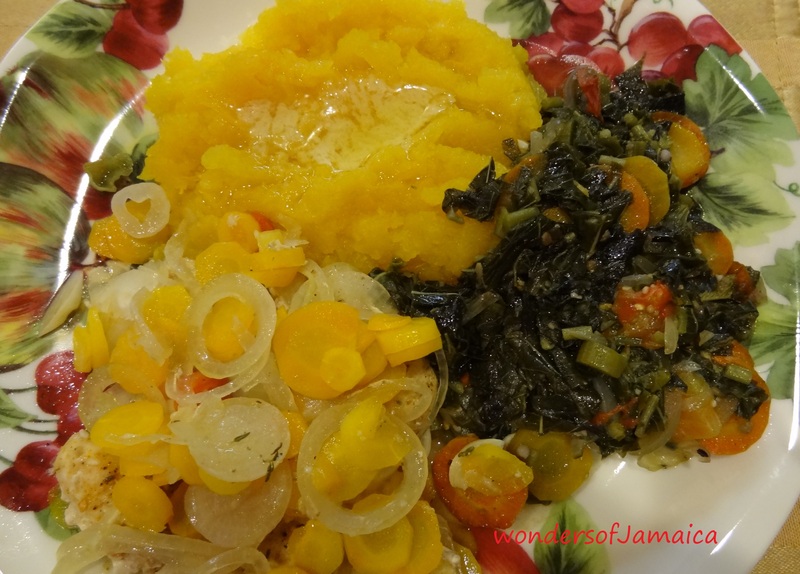 This entry was posted in Dining, Healthy Eating, Healthy Living, Jamaica, Recipe and tagged Callaloo, Cooking, Fruit and Vegetable, Gungo peas, Jamaica, Olive oil, pork, Pumpkin and Squash, Pumpkin seeds. Bookmark the permalink.